Dorey’s Story: A tale of a girl, a guinnea pig and God the giver of ALL gifts! We took the money from selling Max (yes, we sold him, but he went to a new home with a “built-in-wife” that we met before we let him go) So, anyway-we went out looking not really ready to buy anything yet, but decided a small fuzzy thing that lived in a cage where it is completely acceptable to take care of any necessary “elimination” would be a better suited member of our family. Since I have never bought any kind of rodent before, this was all new to us! After one smelly, nasty pet shop with a wired hamster that crawled all over me before we could catch it; we went on to the next pet store. The “exploration run” offered by the dwarf hamster I attempted to hold and examine was all I needed to be completely convinced that I had no interest in owning a hamster. Upon arriving at the next store, we found that this store was nicely kept and the people were quite knowledgeable. They recommended a Guinea Pig. The Guinea Pig was a little bigger animal than we thought we would buy, but Emily fell in love with her. Oddly enough, I liked her and even Daddy thought she was alright! We decided to price cages and supplies elsewhere because their stuff was soooo expensive! To put it plainly, the pig was $25 and the “stuff” was over $85! Not the price tag we were hoping for! We went out searching for a bargain cage. After looking and looking, and not finding anything cheaper, Daddy was beginning to think we needed to sleep on the whole thing. Emily was sad because she really wanted that Guinea Pig. So, I pointed out a thrift store and suggested we check there as a last ditch effort. She explained that they had a cage, but she hadn’t found it yet. So we went to see where it was. Daddy had already found it, and met us carrying a cage identical to that of the one for $65 in the pet store. I could hardly believe it. There we were, as witnesses to God blessing a little girl’s desire for a guinea pig! The Greek word for “gift” is δωρεά (pronounced dorea). So, we named her Dorey. Of course, the gifts we are given to enjoy while here on earth are nice-like a guinea pig for a little girl, air, food to eat, etc., but just think-God has given us a gift that has eternal value in His Son, Jesus. It is a gift that is for us both here and now, as well as for the “here-after”. It is my reason for living. It is my strength for living, and to put it plainly, I can’t LIVE without it! Grace is such a wonderful word. The result of such a problem produced by our sinful state is separation from God. We, ourselves, are insufficient to clear the sin debt that we have in God’s sight. God did not leave us to ourselves. In fact, knowing that we have no power to fix our problem, in love-in GRACE, He provided the greatest gift known to man. God sent a remedy for the sin problem we have no power within ourselves to fix! We can only thank Him in response and then live our lives in display of the gratitude we have for such a wondrous and undeserved gift. Therefore, if God’s gift of grace is ours, we can’t brag about it coming from anything we have done ourselves. (our own good works) Instead, we can brag on HIM!! Let each gift that He has so graciously given to you (especially the gift of His Son, Jesus) compel you to look and live unto Him! 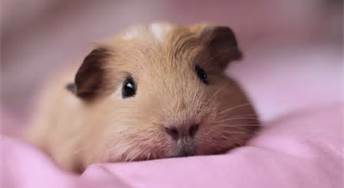 While God answering a little girl’s prayer to provide a guinea pig is exciting, there is nothing more rousing than knowing our greatest need from here until eternity is WHOLLY and EFFECTIVELY met in Jesus Christ! 2Co 5:19 that is, in Christ God was reconciling the world to himself, not counting their trespasses against them, and entrusting to us the message of reconciliation. 2Co 5:20 Therefore, we are ambassadors for Christ, God making his appeal through us. We implore you on behalf of Christ, be reconciled to God. 2Co 5:21 For our sake he made him to be sin who knew no sin, so that in him we might become the righteousness of God. “God’s greatest GIFT to man”! !